Coreblade, Tube Guitar Amp Head from Hughes & Kettner in the Coreblade series. Hughes & Kettnerpresents Coreblade, its new programmable all-tube guitar amp, designed to meet the demands of modern metal guitarists. The head delivers 100 watts and combines "brutal tone, untamed dynamics and explosive punch with amazing flexibility" according to the company. H&K says Coreblade's most prominent features include the TSC tube management, the IDB noise gate and the option of backing up the 128 presets to a USB stick without a computer. 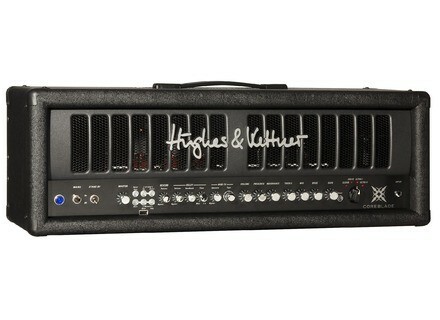 For more information, visit www.hughes-and-kettner.com. DLY-503 Delay & PST-10 Power Station Gear4music, the appointed UK distributor, has begun shipping a variety of Belcat amplifiers, effects pedals, preamps, pickups and tuners, including the Belcat DLY-503 Delay pedal. Belcat Tube 20-R & V35RG Gear4music, the appointed UK distributor, has begun shipping a variety of Belcat amplifiers, effects pedals, preamps, pickups and tuners, including the Tube 20-R amp.